This 3/4 back view maternity pose is ideal for designing backless blouses or dresses and clothes with interesting details at the back.The template is suitable for all type of pants designs. It can be used for sportswear for pregnant as well. 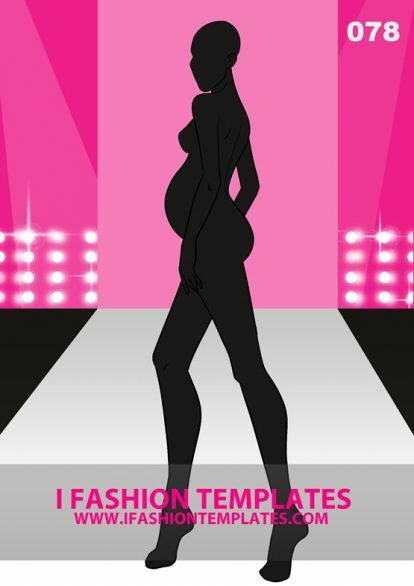 Maternity template appropriate for long dresses with romantic dessens, shorts and skirts. Use it for designs which have details in profile. It fits well with tunics for pregnant and short jackets or poncho. 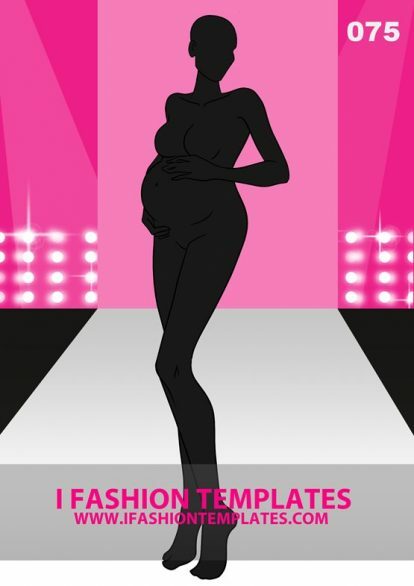 Fashion template of a dreamy mother good for gorgeous gowns and jumpsuits. The accent over the chest line and the belly gives the opportunity for designs such as blouse whit deep neckline or sport sweatshirts. It is also usable for designs of pants and skirts. 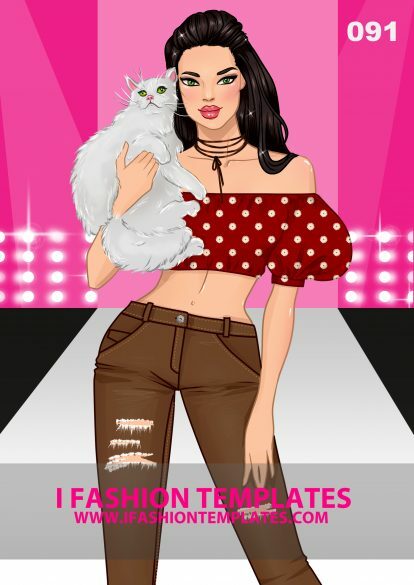 This pose is appropriate to display flare skirts or maternity overalls. The hands put on the belly give out romantic sense of the pose and it's suitable for designs with such sense. Also it is great fashion template for long and short dresses, long vests and jeans or shorts. 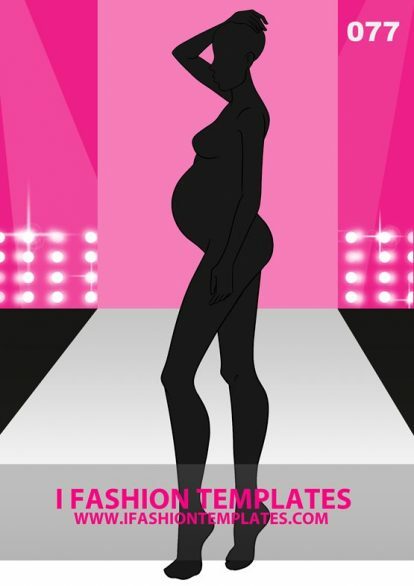 Gorgeous maternity fashion template highlighting the hip. Use it to show designs which have interesting decorative elements, pockets or slit on the hip. The pose is suitable to use for long dresses with slits or skirts from transparent fabric or tulle, hippie jeans and shorts.